Tom grew up in the Cedar Rapids area and after a few brief relocations, has resided in Fairfield for the past 20 years. Tom received BA degrees in Political Science and Business Administration from Central College in Pella in 1988. 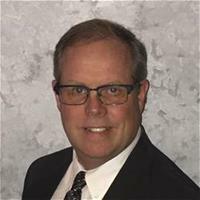 Tom has served on various boards in Fairfield, including Habitat for Humanity, American Heart Association, Lord's Cupboard, Fairfield Economic Development Association, and is a past president of he Fairfield Area Chamber of Commerce. Tom and his wife Janan have 3 children who are involved in numerous sports and activities and are proud to make Fairfield their home.